CTC Aviation has once again opened the application window to aspiring airline pilots for the CTC WINGS MPL Route in partnership with easyJet. The latest application window will see a further 36 successful applicants begin their training with CTC Aviation from March 2015 and begin operating as A320 First Officers for one of Europe’s leading airlines within two years of enrolment. Since the partnership between CTC Aviation and easyJet began in 1995, more than 2,000 graduates have begun work as easyJet First Officers, with many now flying with the airline as Captains and holding management roles. The MPL trainees will train over the course of 17 months through CTC Aviation’s facilities at the company’s Crew Training Centres in Southampton UK, Phoenix USA and Hamilton NZ. In addition to the easyJet MPL programme, CTC Aviation is also accepting applications for its CTC WINGS Integrated ATPL ‘white tail’ Route which remains open throughout the year. A number of CTC Partner airlines, including easyJet and British Airways regularly select from the Airline Placement Pool of CTC WINGS Integrated ATPL ‘white tail’ graduates and this Route currently achieves an unrivalled 98% placement record. The CTC WINGS easyJet MPL airline pilot career programme is open to applicants over the age of 18 who have the unrestricted right to live and work in the EEA. 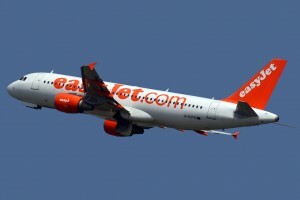 The application window will be open for a limited period only and selection events will be conducted by a combined team of CTC Aviation and easyJet assessors at both CTC Aviation’s Crew Resourcing and Selection Centre – Dibden Manor, near Southampton in the UK and with easyJet in Luton, UK.